Life insurance policies can help a family financially prepare for the unfortunate loss of a loved one. Life insurance policies traditionally require that the insured policy owner pay premiums to the insurance company under the agreement that the insurer will pay a certain amount of money to the beneficiary after death. When the insured individual passes, it is the responsibility of the beneficiary to file a claim with the insurance company. Unfortunately, insurance companies do not always act fairly. Insurers may unjustly deny or delay claims for a number of reasons. That’s why it is exceedingly important that as the policyholder (or beneficiary), you know what a purchased life insurance policy includes. But even when you are aware of the specifics of your policy, the insurer may act against your interest. That’s why at any delay or denial, you should have an experienced bad faith insurance firm like Millin & Millin PLLC assess your situation. It is the responsibility of the beneficiary (if of age) to file the life insurance claim. Generally, a life insurance claim examiner will be assigned to your specific case and request the necessary forms needed to start the process including: an autopsy report, coroner’s report, medical examiner’s report, or other relevant documents. If additional documents are needed you should be notified promptly to avoid delays. Once all the necessary authorizations have been signed, submitted, and filed, the insurance company must make a final decision on the claim within 30 days. If the claim is to be paid, the insurer will provide the beneficiary the option of either being paid in a lump sum or having the funds deposited into a special account set up by the life insurance company. As a beneficiary, you have the right to request interest on a total payout if the claim was not paid within a reasonable time. Unfortunately, a vast number of cases are unjustly denied by excuses designed to convince a beneficiary that the claim was invalid for a number of legal reasons. Denial letters are often purposely drafted with difficult legal terms and ambiguous reasons to make the argument more convincing. It’s important to remember, however, that such letters should never be accepted as final verdict until an experienced attorney is able to analyze the situation. Material misrepresentation on insurance application. An insurer has the right to contest a policy if the insured died within the first two years the policy became effective. Contesting the policy usually consists of analysis of the various policy forms and application, which provide vital information about health, age, hobbies, etc. If an insurance company is able to garner information that was not directly stated in the application, then the claim may be denied. While only material misrepresentations (those that affect risk) can result in policy cancellation, insurers will attempt to contest under these conditions, even when the claim is valid. Be aware of contestability and possible outcomes. Generally, a policy is only active as long as premiums are up-to-date and paid. If there is a failure to make a payment, then the policy may lapse or terminate. Very often, insurance companies are able to deny claims using nonpayment of premiums as justification. As a beneficiary, be aware of premium due notices and whether you were properly warned about an impending lapse. No beneficiary named on file. A claim may be denied if there is no designated beneficiary. As there are provisions in a policy that state who should get the insurance money if there is no beneficiary, these claims may result in lengthy delays, or an outright denial. Policy exclusions are used frequently to deny claims as they are ambiguous and allow for a number of possible of scenarios to be rationalized as non-payable. Automatic revocation because of a state statute. Every state has their own set of statutes that govern the rulings behind insurance claims. However, they generally apply to state law claims and do not have legal standing in cases controlled by federal laws. The claims adjuster working on your case may not have a full understanding of your specific state laws and may misinterpret them for the insurers benefit. Insurance companies may attempt to deny your claim for a number of reasons, but that does not mean you are out of options. A life insurance claim that has been fully and properly submitted, but not paid within 30 days can be considered delayed. Delayed claims can often lead to denied claims, as adjusters will attempt to utilize this extra time to gather evidence to support a rejection. If you allow a delay to run indefinitely without an adequate explanation from the insurer, you increase this risk of denial. If there is a delay in the claiming process, the insurance company must provide a reason for doing so. If there was no explanation provided, you will need to speak with experienced legal experts like Millin & Millin PLLC to get to the bottom of the issue. A life insurance claim may be denied on the basis that the beneficiary is a minor and cannot receive the proceeds without a guardian. A lawyer can help you to expedite payment of your claim once proper guardianship documents have been filed. The life insurance policy was included in a will or trust. Including the funding of a life insurance policy in a will can result in claim delays. As a life insurance policy is a contract with another party, it cannot be legally controlled by the will. Beneficiary was not updated after a major life event. 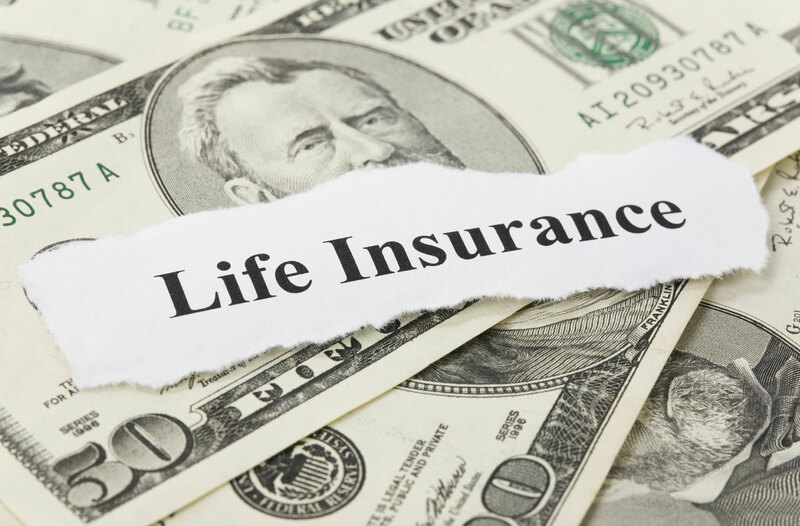 After a major life event, such as a divorce, marriage, childbirth, etc., many people will want to change the beneficiaries on their life insurance policies. Failing to do so may mean an excess of beneficiaries and the claim may be delayed as the insurance company proceeds to file an interpleader. A failure to name a specific person, and instead use a group of people such as “children” or “relatives”, will likely result in a life insurance claim being delayed. Also, when no beneficiary is named, the policy will be paid out according to the law of the state where the policy was taken out or according to policy terms. This issue will cause a delay as well. There may be a delay in paying a claim when the primary beneficiary is not available (predeceased the insured or is not capable under law) and there is no secondary beneficiary. If there is no contingent (secondary) beneficiary the claim will likely be delayed. When submitting a claim, it can be in your best interest to obtain an experienced attorney who can help the beneficiary file the correct medical and financial information. Be honest and provide correct information on insurance application. You have the responsibility of providing the insurer with correct information on the life insurance application. You should provide the requested information in good faith as failing to do so can lead to a legally denied claim. If you do not disclose certain medical conditions that can affect your health, the policy will be cancelled due to material misrepresentations. If you do not designate a beneficiary, your family may have to deal with litigation disputes about who should receive the insurance monies. If there is no beneficiary, funding is paid according to the provisions of the policy. Always pay premiums on time. This is exceedingly important; paying your premiums on time will help to avoid policy lapse or cancellation. Also, make sure to update your contact details or address changes to maintain receiving premium-due notices. Provide the documentation requested by the insurance adjuster. An insurance company cannot and will not settle a claim until all required documents are officially submitted. Documents can include forms related to the policy and documents proving the death of the insured. You will also be required to provide proof of your identity. It is a good idea to send all documents in together, as a delay in submitting one document can mean a delay in claim decision. Also, if you are unable to obtain original documents, then you should produce certified copies of the required documents. Millin & Millin PLLC are your bad faith insurance specialists. After the loss of a loved one, the last thing you need is to deal with the misleading practices of an insurance company. While insurers may try to play tough, here at Millin & Millin PLLC, we know how to play tougher to get you and your family your just due. If you are experiencing difficulties with a dishonest insurance agency, then find some relief in knowing that Millin & Millin PLLC is here to help. We have a track record of going up against the big bad wolf insurance companies and getting the compensation you deserve. Schedule an appointment with us today to find out how we can help you with your claim.